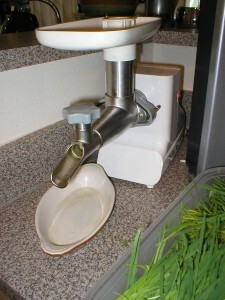 Electric wheahtgrass juicer is shown below (yes, for optimal wheatgrass juicing you need a “wheatgrass juicer” not an everyday juicer). A low speed electric or hand crank wheatgrass juicer is best. The low speed creates minimal heat and minimal oxidation both which damage the live enzymes. Do not let harvested wheatgrass freeze and do not eat or juice wheatgrass if it has begun or has turned yellow. 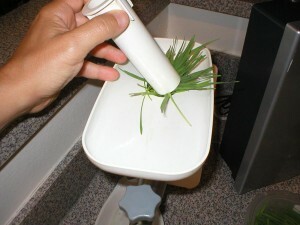 High humidity during the growth cycle may cause mold to grow at the base of your wheatgrass. If mold does appear rinse your wheatgrass thoroughly preferably with filtered water before juicing or consuming raw wheatgrass. Wheatgrass juice will exit from the wheatgrass juicer from two areas; 1) the juice exit spout and 2) the wheatgrass roughage exit spout. I use a long shallow bowl to catch both. 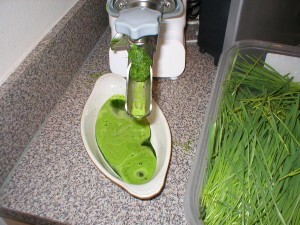 Keep adding harvested wheatgrass to the juicer until your desired amount of juice is juiced. Sometimes I will re-juice the roughage to get the juice which may have been missed on the first try. Your juiced wheatgrass is now ready to be consumed directly or by adding it to a drink or smoothie. Some folks add coconut water or filtered water to their wheatgrass juice. I will try and consume at least one to two of ounces wheatgrass per day. When I’m trying to recover or clean out my system I will consume at least two ounces of juiced wheatgrass in the morning and at least two ounces in the afternoon. I try and not eat two hours before drinking wheatgrass juice and not to eat for one hour after drinking wheatgrass juice. This two hour time before consumption allows the digestive system to clean out so the wheatgrass juice can be easily absorbed into the digestive tract. How Long Does Juiced Wheatgrass Last ? You can save your juiced wheatgrass by covering it and refrigerating (preferably in a glass or BPA free plastic storage container). 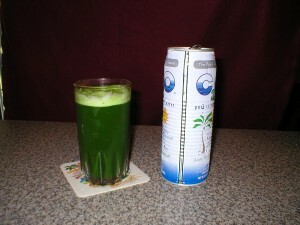 Juiced wheatgrass is always best consumed when freshly juiced from freshly harvested wheatgrass. However; my freshly juiced wheatgrass will last a couple days and still be drinkable when refrigerated properly. I always try to keep in mind that wheatgrass, like most live plants, will begin to breakdown within one hour after being juiced. Refrigerating the juice only slows the deteriorating process down and the longer you let the juice sit the more it will separate. So, the longer you wait to consume juiced wheatgrass the less benefit. 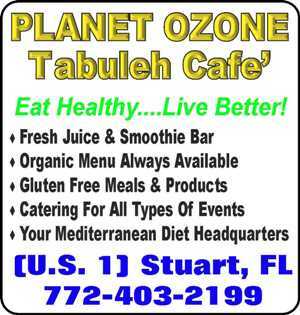 In this busy world we live in it is not always practical to exactly follow the above wheatgrass drinking suggestions therefore do the best you can to obtain your optimal wheatgrass juicing situation. 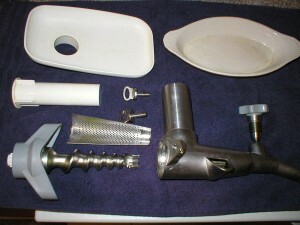 Most wheatgrass juicers come apart (as pictured above) to enable you to thoroughly clean your juicer. Cleaning the juicer after use is important. Do not use the juicer after the juicer sits for more than one hour after juicing. Some of the wheatgrass roughage and juice stays in the juicer and will begin to break-down (will become rotten) and therefore compromise the quality of your next juicing session. 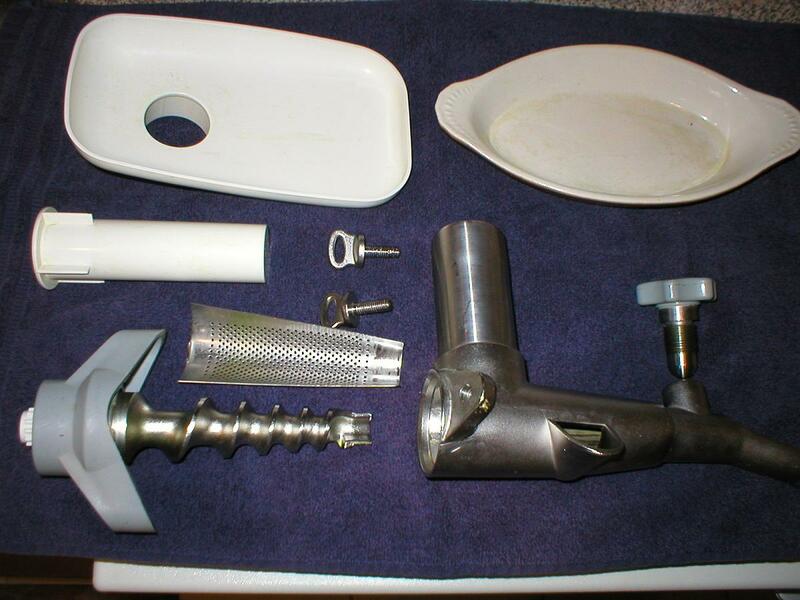 I clean my washable juicer parts after each use with warm or cold water. 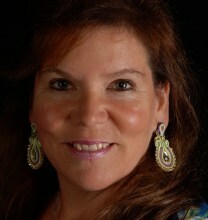 Once a month I soak the washable parts overnight in a mild dish detergent and then rinse thoroughly.